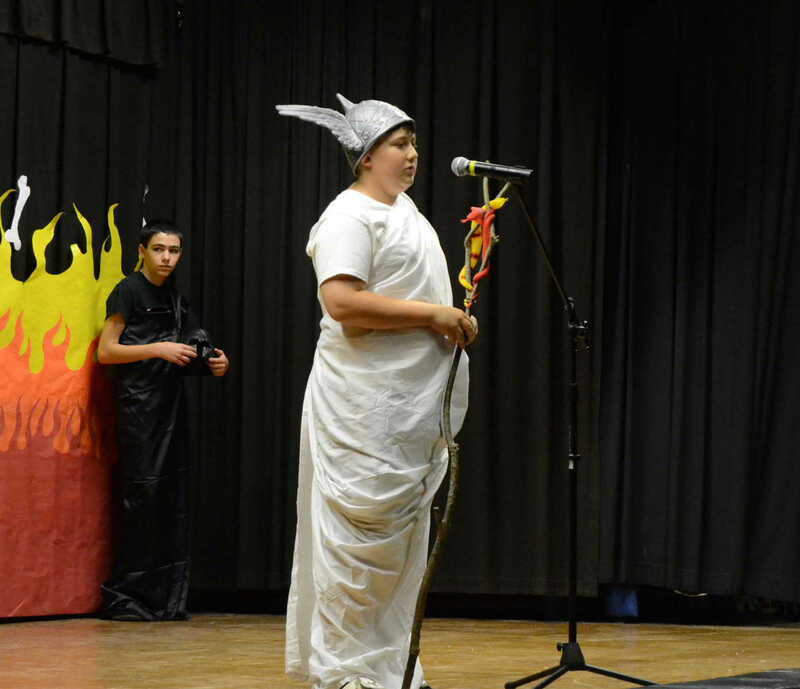 Seventh grader Clayton Loyd played Medusa during Sheldon Living History on Wednesday. 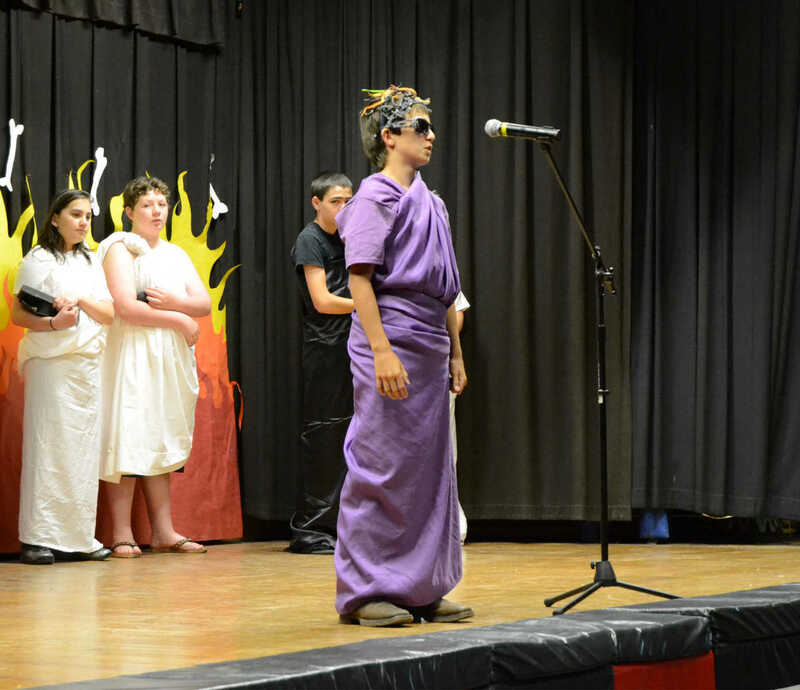 Seventh grader Jason Leavell played Hermes during Sheldon Living History on Wednesday. 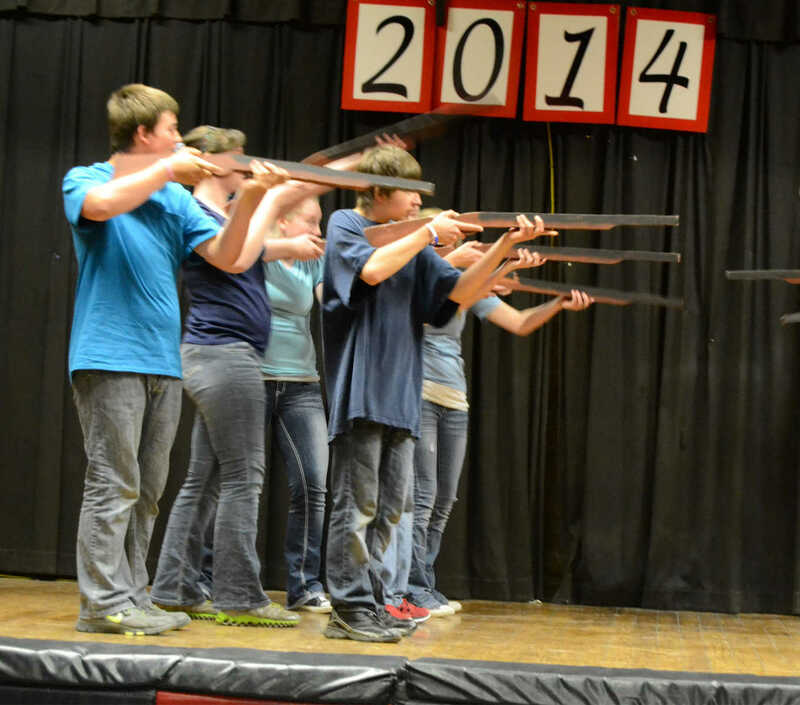 The North fires in the Civil War overview during Sheldon Living History on Wednesday. 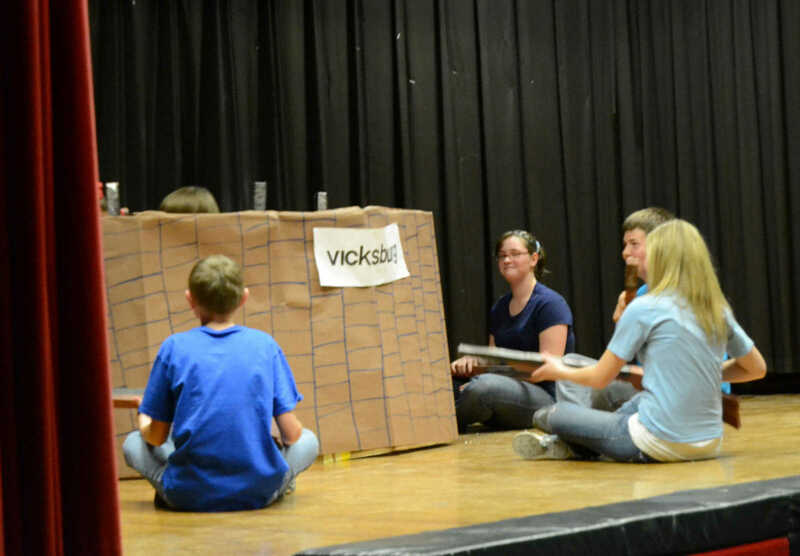 The North sieges Vicksburg in the Civil War overview during Sheldon Living History on Wednesday. 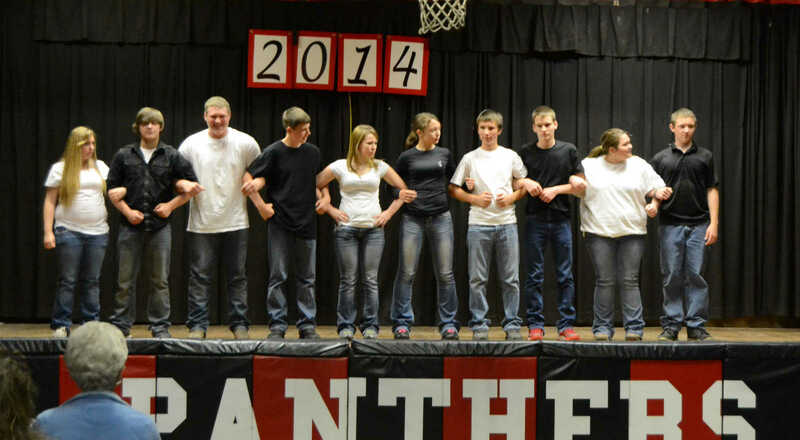 Ninth graders demonstrate racial unity in the civil rights overview on Wednesday.